I was watching the National Geographic Channel the other day because the topic was on alien life and SETI. I was curious about how a "scientifically" oriented channel would deal with this slightly outside the mainstream of science topic and if they would even address UFOs. And in what has to be among the shortest segments ever broadcast about the Roswell case, they dismissed it in about a minute and a half. They said that some believed that Roswell represented the crash of an alien craft, but the Air Force explained that it was actually a balloon with the then top secret Project Mogul and the drop of anthropomorphic dummies during tests of ejection systems some six to tn years after the completion of Mogul. They made it sound as if this was the final answer and that any thinking person would know it. The problem as I see it, based on my years of research into the Roswell case is that they ignored evidence because it didn’t fit into their preconceived notions of the case. The Air Force said that they had the answer and the Air Force must be right. This was an "appeal to authority" meaning that we should except the answer because an authoritarian organization said it is so. Now, I don’t care if you believe Roswell represents the crash of a spacecraft or not. 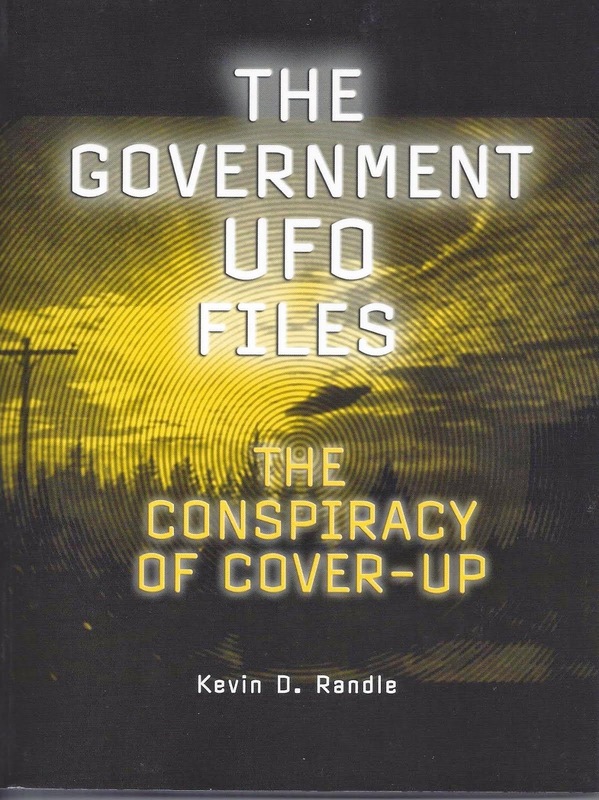 I will say that one of the poorest answers for the case is saying it was a balloon, or a balloon array, and dummies that were dropped near Roswell a decade later. Let’s take a look at these ideas, especially Project Mogul. First, we must accept the idea that Project Mogul was highly classified and therefore wouldn’t be known to those outside the small group conducting the tests and the Air Force officers overseeing the project. This, unfortunately, is not the case. Mogul used off-the-shelf weather balloons. These would just like those launched four to six times a day by weather stations and weather officers all over the United States. There was nothing about the Mogul balloons that would make them difficult to identify and no reason that a reasonably competent person, whether a rancher living near Corona, New Mexico or an Air Intelligence Officer stationed at the air field would be fooled by them. True, the Mogul array (seen to the left in flight) contained enough balloons and rawin radar detectors to make it unusual, it still was made of common place balloons and radar detectors. Mack Brazel who found the debris said that he had found weather observation balloons on two other occasions and if this was basically the same, there was no reason for him to become excited and report the balloons to the military. 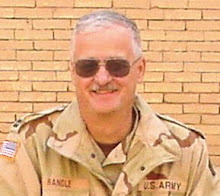 Second, Charles Moore, one of the engineers on Project Mogul told me, personally, that members of his team had traveled to Roswell to confer with the base personnel. They wanted the military to help them recover their balloons and to help them track them. The officers told the "college boys" that they had more important things to do and couldn’t be bothered with wasting time on this. So, the "college boys" were left to their own devices, but only after they had told the officers at Roswell they would be launching balloon arrays. And not, some sixty years after that, Moore gets a little payback. He’ll show them what "college boys" can do. Third, the CAA (forerunner to the FAA) required the Mogul engineers to post NOTAMs. These NO tices To Air Men alerted pilots that balloon arrays were being launched from the Alamogordo area. In other words, the times, dates, and locations of the launches were not classified, and were, in fact, published. Roswell, being a flying base, would receive these NOTAMs s o that they would be aware of the balloon arrays. And finally, in what might be the biggest blow to the Mogul explanation, two days after the newspapers reported the recovery of a flying saucer, newspapers reported on the balloons being launched from Alamogordo. There were even pictures of the balloon arrays (similar to that seen at the left being assembled). So, Mogul was so secret, or rather the equipment was so secret that pictures of it were published in newspapers around the country on July 10, 1947. What this means is that there is little doubt that the rancher, Brazel, or the Air Intelligence Officer, Major Jesse Marcel, should have been able to identify the debris as a balloon if that’s what it was. When they didn’t, it means that the debris was something else. Oh, you say, it was an array of balloons and multiple radar detectors so that both might be fooled. Let’s grant that point for a moment. I will counter with the interview conducted with retired Lieutenant Colonel (then a captain) Sheridan Cavitt )seen to the left) who accompanied Marcel out into the field where Brazel showed them the debris. 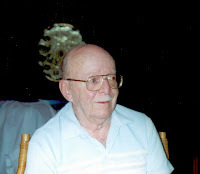 On May 24, 1994, Colonel Richard Weaver, who was "investigating" the Roswell case for the Air Force, interviewed Cavitt at his home. Cavitt told Weaver that he had been out to the site where the debris was found (confirming the recollections of Jesse Marcel and others who said Cavitt had gone out there) and that they took some of it back to the intelligence room. Weaver then asked, "What did you think it was when you recovered it?" Cavitt said, "I thought a weather balloon." Weaver said, "O.K. (Air Force interpretation of how to spell "Okay"). Were you familiar with weather balloons at the time?" And Cavitt said that he was. Think about this. Cavitt went out there and recovered the remains of a balloon. He recognized what it was immediately. He wasn’t influenced by the "flying saucer" hysteria that was sweeping the base because he knew it was a weather balloon. It seems to me that Weaver’s next question should have been, "Did you report this rather vital piece of intelligence to Marcel or Colonel Blanchard (who was base commander in 1947). But Weaver goes off on a tangent so we never learn why Cavitt didn’t tell anyone that it was a weather balloon at the time. Instead he sits back and lets the press release out telling the world they had a flying saucer. As an aside, I will note here that Lewis "Bill" Rickett, who was the senior sergeant in the Counter-Intelligence Corps (CIC) office at Roswell with Cavitt, had told us that he went out to the site with Cavitt. He said that they went through a check point manned by Military Police who examined their identification. Cavitt, in his interview with Weaver said, "There were no, as I understand, check points or anything like that (going through guards and that sort of garbage)." So, we now have Cavitt in conflict with Rickett, just as we have Cavitt in conflict with Marcel. Of course, he was also in conflict with Brazel but he agreed with Charles Moore, who wasn’t involved in the Roswell recovery, whatever it might have been. We do have some records for Project Mogul. The project engineers published their findings and in those publications were indications of what happened with each of the balloon flights. They were tracked, and when possible, the equipment was recovered. Every Mogul flight was recorded with a single exception. Skeptics have focused their attention on Flight No. 4 which was launched on June 4, 1947. It was not included in any of the official documentation. In fact, there were no real indications about a flight four and that is why the skeptics focused on it. Charles Moore attempted to learn why the numbered flights jumped from three to five. He communicated with Dr. Albert Crary’s widow, Crary being the project leader. Crary kept a personal diary and that might explain what happened to Flight No. 4. According to the diary, the flight was to be made of a cluster of regular balloons and a sonobuoy or type of microphone. It was to be launched in conjunction with a rocket from White Sands. The purpose was to determine if the noise made by the launch and some explosions detonated on the ground would be detectable by the array. Mogul’s overall purpose was to place balloons at a constant level in the atmosphere as a way to monitor Soviet research into atomic weapons. According the information available the rocket launch was scrubbed, meaning there was no flight and therefore nothing to Mogul to monitor. Crary’s diary for June 4 said, "Out to Tularosa Range and fired charges between 00 [midnight] and 06 this am. No balloon flight again on account of clouds." That would seem to end the controversy right there but this is the Roswell case and nothing is ever quite this easy. The entry continues, "Flew regular sonobuoy mike up in cluster of balloons and had good luck on receiver on ground but poor on plane." Moore, in a document he called "The New York University Balloon Flights During Early June, 1947," suggests that this flight was made up of a sonobuoy, a cluster of balloons and the radar targets. They now have all the material on them that could possibly account for the debris that Mack Brazel found. But, of course, that isn’t what the diary said and there is no indication that they attached the radar targets to this flight. Further, there are no records of where it went or where it came down. Moore suggests that it was lost somewhere around Arabela, New Mexico and that he remembered this because the exotic sounding names of the place. Using winds aloft data that I supplied to him, he worked out the probable path and believes that the balloons might well have come down on the Brazel ranch, but he isn’t completely sure. There is a wide range of precise calculations necessary to understand this, and it seems that a relatively minor change in the data at one or two points changes the outcome radically. In other words, there is no evidence that the balloons ever moved north of Arabela, no evidence that they came down on the Brazel ranch, and certainly no reason for the radar detectors (if they had been attached and the evidence suggests they weren’t) to explode as indicated by the descriptions of the debris by those who saw it. Given all this information, there is very little reason to believe that Mogul was responsible for the debris Brazel found. 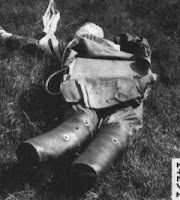 Descriptions of it, supplied by Marcel, Bill Brazel (the son of Mack and who had found some small fragments himself), the Proctors (who saw a small piece of debris that Mack Brazel carried with him), and a dozen other witnesses, suggest something more extraordinary than the remains of a balloon that should have been readily identifiable to those who found it. If Cavitt could tell it was a balloon, then why couldn’t Brazel or Marcel. Which leads us all back to the anthropomorphic dummies (seen at the left with Air Force testers) which the Air Force trotted out to explain the tales of the bodies. Interestingly, the Air Force wasn’t saying that bodies of some kind hadn’t been found, they were saying that the witnesses who reported bodies had mistaken these dummies for alien creatures and were mistaken about the year they were found. I’m not going to take a lot of time with this because it doesn’t deserve a lot of time. 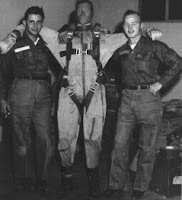 The Air Force suggested that people who had seen the dummies had just been mistaken about the time frame and over the years had come to believe that these sightings of the dummies conformed to the UFO crash. The problem here is that descriptions of the bodies bore no resemblance to the dummies. The test dummies were about six feet tall, had human looking faces, arms and legs. The bodies reported were small, no more than five feet tall, had facial features that could be described as resembl ing that of humans but were not. The eyes were too large, the nose too small, and the placement of the ears all wrong. Now, as I said, I don’t care if you believe that Roswell was extraterrestrial or that there is some more mundane answer, but I will say that Mogul and anthropomorphic dummies (seen in the field at the left) is no longer a viable explanation. It ignores too many of the facts, introduces explanations that have no basis in reality, and suggests a grasping at any straw to answer the questions. These explanations fail to take into account too much information that can be corroborated and documented. 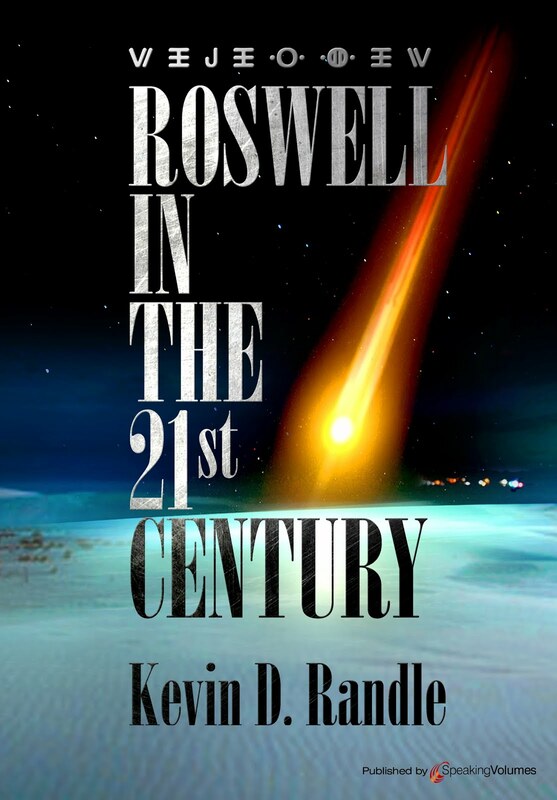 For those interested in more information, I have a number of books that can provide that information including the coming Roswell Revisited.